The paper towel is a wondrous invention. It allows cooks to wipe up really gross stuff without having to constantly do laundry and drain fried foods so they're crunchy and crispy instead of oily and heavy. 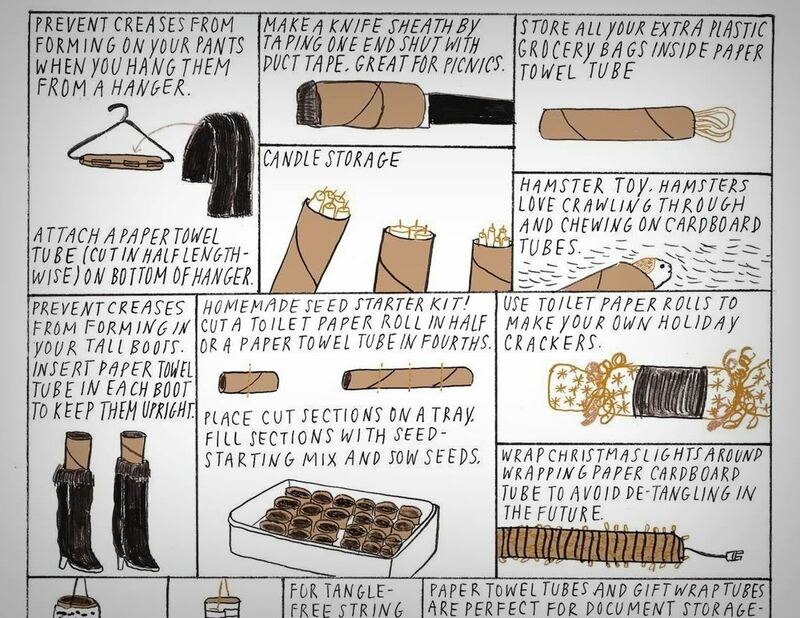 But did you know that your humble paper towel has several other uses besides the obvious ones? Read on to find out these essential hacks. If you use a lot of cooking oil in your kitchen, you know that it's hard to prevent drops of the stuff from rolling down the side. Your bottle then feels greasy and is hard to hold, or worse, you start seeing oil rings on your counters and cabinet shelves. Well, here comes the mighty paper towel to the rescue. 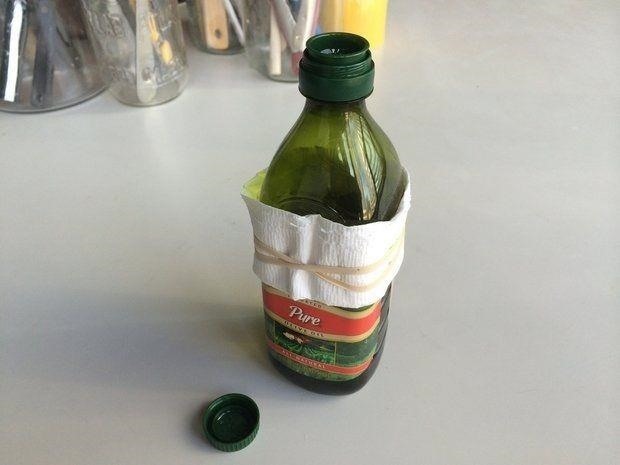 Fold one up and wrap it around the bottle with a rubber band to secure it, and you'll prevent those drips for good. OregonLive points out you can also use an old wrist band if you want to skip the paper towel part. In my family, we sometimes used a regular piece of notebook paper instead of a paper towel because yes, we were that cheap. You can also cut off the tops of old tube socks and they'll work, too. 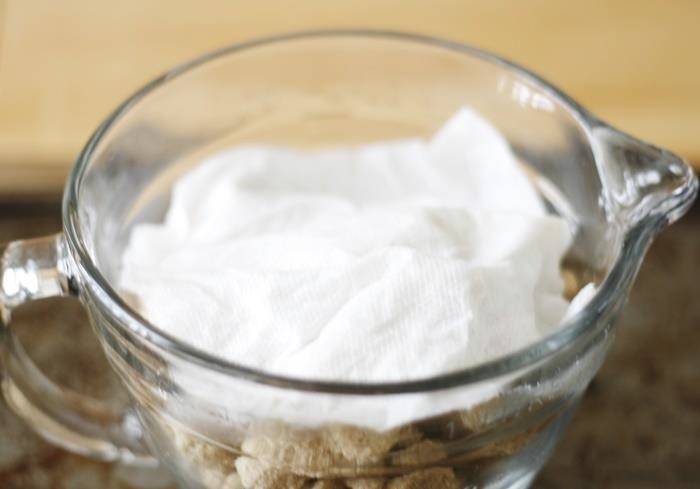 The usual trick for softening rock-hard brown sugar is to put a piece of bread or a slice of apple in with the sugar and let it sit for a day or two in a plastic bag. The moisture in both those foods will then transfer itself to the sugar. But if you don't have apples or bread on hand or you need to use your brown sugar ASAP, a moist paper towel in the brown sugar bag and 20 to 30 seconds in the microwave will soften it right up. 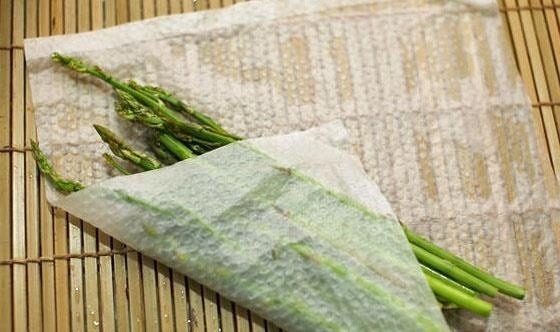 In fact, whether you're reheating leftovers or cooking something like vegetables in the microwave, a moist paper towel is a tool you need to make sure it comes out perfectly. Microwaves heat up food by agitating the water molecules in your food. This water becomes steam, and if it's released too quickly or the food is cooked too long, your plate of spaghetti gets rubbery real quick. 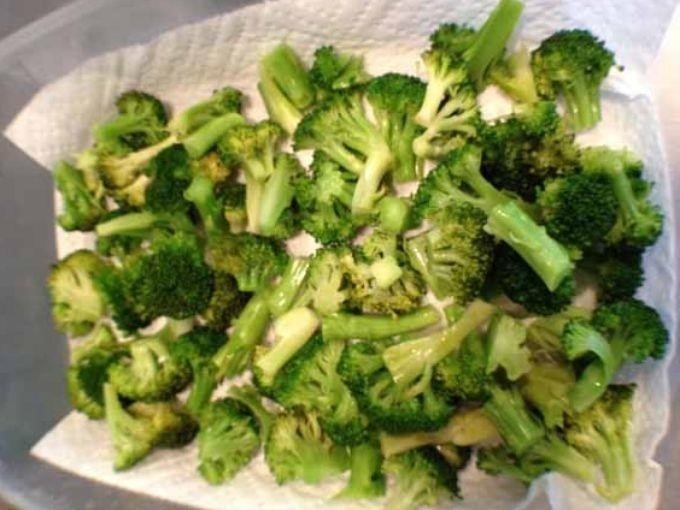 Instead, place that paper towel on top of your microwave-safe container or wrap it around your veg. Boom! Perfectly done food. Learn more indispensible microwave techniques to make sure your food comes out just the way you want it, every time. A salad spinner is a nice thing to have, but is it necessary? Turns out that with a container and a paper towel, you don't need one. Line your container (a colander is even better) with a layer of paper towels. All you have to do is wash your greens properly, give them a good shake, and then place them in their little bed to drain and dry. It helps to shake them around or use your hands to rotate them so they can drip-dry evenly. Most recipes and cookbooks contain the instruction to "blot meat dry" before you sear or pan-fry it. Why? Because a dry surface on your meat means that you'll get a nice, flavorful crust once it hits your hot pan, thanks to the Maillard reaction. 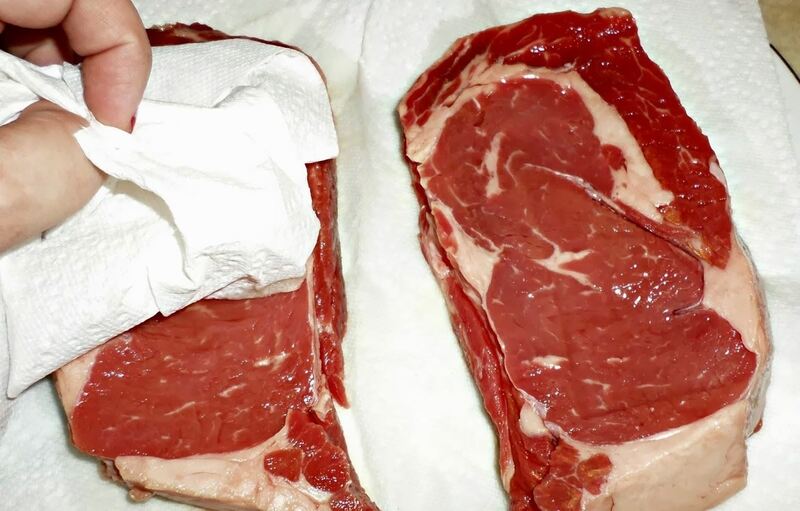 So, get out those paper towels and blot, blot, blot your steak before you fry it. I hate opening a bag of salad greens and seeing that they've gone yellow and wilted—or worse, sludgy and rotted—before I had a chance to finish them all. With a paper towel, that conundrum will be a thing of the past. 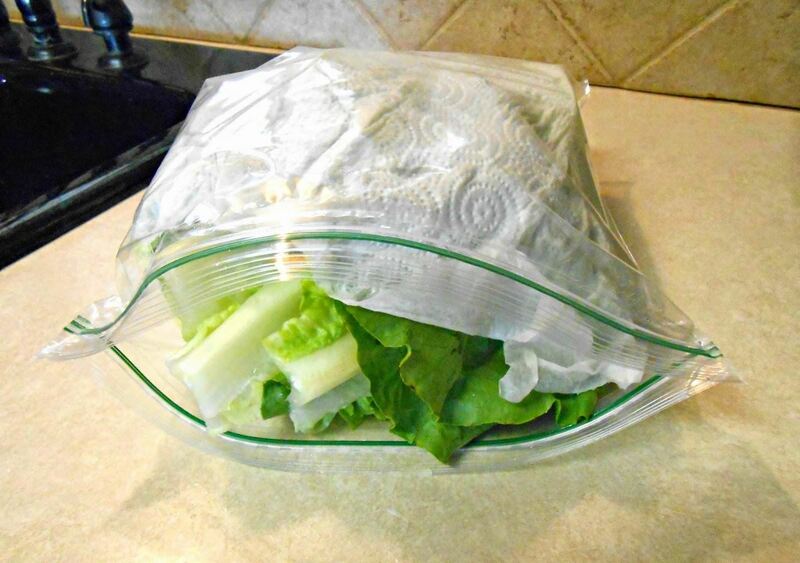 Wrap your greens in a towel and seal the bag, or simply place a layer of dry paper towel in there. That toweling will absorb the excess moisture that causes your greens to rot. Fresh herbs really change the way a dish tastes, but they often dry out and become tasteless before you can use them all. If you're really thinking ahead, you can use your microwave to preserve them. 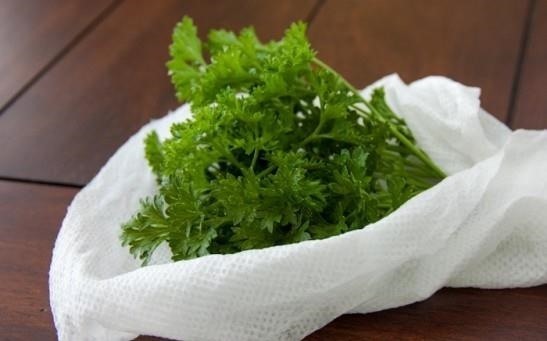 But if you're not quite sure just when you'll be done using that fresh mint, dill, or thyme, simply wrap them in a wet paper towel for storage to make sure they last several days past their expiration date. I find that giving the herbs a quick dunk in a bowl of water before wrapping also helps. 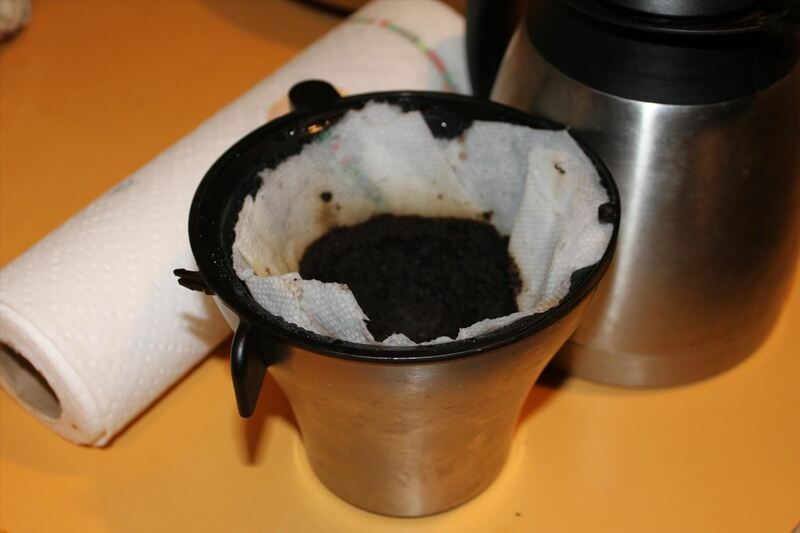 Is your fine mesh strainer dirty? No coffee filters left in the cupboard? Turn to paper towels instead. Whether you're making coffee in a porcelain cone or need to strain the leftover herbs from broth, a paper towel will catch all the bits and pieces you don't want to go into your food or beverage. Bacon grease is tough to clean up. 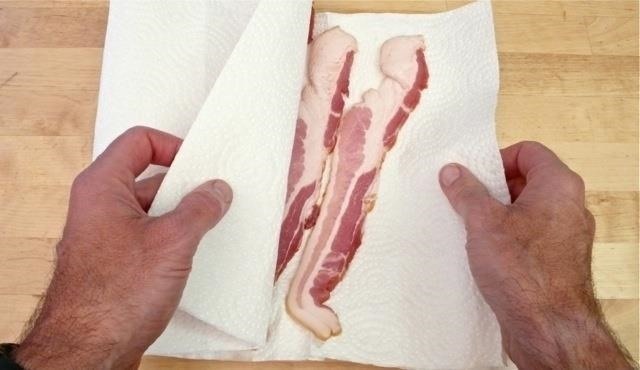 If you're nuking a couple of slices of bacon, save yourself the hassle by sandwiching the slices between two sheets of toweling instead. You get a tasty snack, and your microwave is free from grease splatters. This isn't exactly a "paper towel" hack, I know, but once the paper towel roll is finished, the cardboard tube can also be used in a number of ways. They make great cat toys, work as makeshift bird feeders, can be turned into an iPhone speaker amplifier, can hold and organize cords and even pencils and pens, and more. If you're eco-conscious (as we all should be), it goes without saying that a clean, dry kitchen towel, unbleached muslin, or even old cotton T-shirts can be used in lieu of a paper towel for most of these tips (but probably not for anything involving meat). But on the days when all your towels are in the wash, don't forget that it's okay to use a sheet or two of a paper towel when you really need it. You can even turn 'em into your own DIY wipes for easier cleaning. We've all seen this happen or done it ourselves: someone takes ahold of the paper towel dispenser in a kitchen or a public restroom and rips off three, four, five, or even six sheets to wipe off his hands. As the video below explains, once you learn the incredibly easy method to dry your hands with only one paper towel, you'll be part of the solution (cutting down on waste and saving trees) instead of being, you know, one of the other guys. All you have to do once you've finished washing your hands is shake them several times (Joe Smith recommends 12, for reasons of his own, as you'll see), then fold a towel into quarters so you multiply its thickness and therefore its absorbency. Yes, it's that simple. Got any paper towel hacks of your own? What are you waiting for? Dish 'em out below! We could always use more. How To: Whoa—You Can Make Sprouts from Lentils, Almonds & More! News: These Kitchen Hacks Promise to Make Your Life Easier, but Do They?